Epidemiologist and public health researcher Professor Laura Rosella is using big data to transform our understanding of Canadians’ health. Most decisions regarding health are made outside the doctor’s office or the hospital. Decisions such as what we eat, where we live and how we cope with stress—and they are all major determinants of our health and well-being. 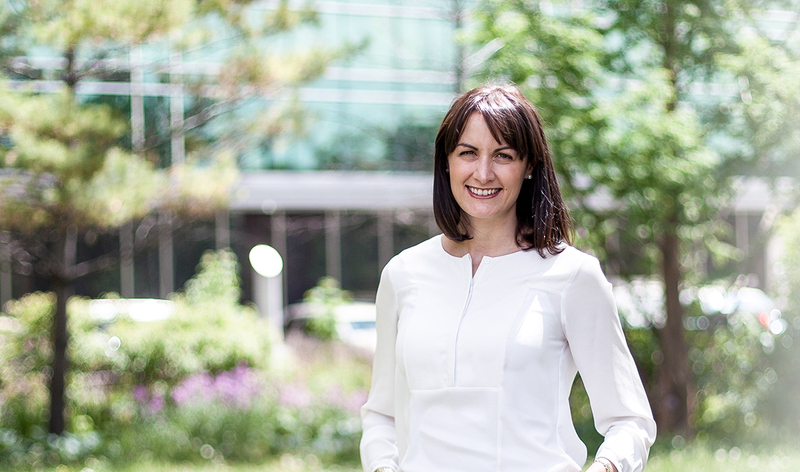 A Canada Research Chair in Population Health Analytics, Rosella is making a name for her Population Health Analytics Laboratory at the Dalla Lana School by analyzing health data and providing health system feedback to researchers, policy-makers and hospital administrators. Her lab develops a range of predictive models designed to reconfigure the way health data is used to enable a more proactive approach to health system decision-making. Rosella’s research is helping to advance Paul and Alessandra Dalla Lana’s original mission of driving new initiatives in health system improvement and policy innovation. Almost a decade after making a $20-million gift to establish the Dalla Lana School of Public Health, the two benefactors made an additional $20-million gift to the school in 2018—an unprecedented level of support for public health and health systems in Canada. Rosella’s next project takes on the new frontier of artificial intelligence. Her team is expanding data and methods currently being used to develop predictive health models that incorporate new machine learning approaches. As a new faculty affiliate at U of T’s Vector Institute for Artificial Intelligence, she is collaborating with Vector faculty to develop new ways to apply machine learning and artificial intelligence to create a more equitable, sustainable and effective health system.